Aroma Seacrets Geranium oil is also be one of the best oils for such diverse dermatological problems as oily or congested skin, acne, eczema, and dermatitis. Because geranium oil is an astringent, it induces contractions in several parts of the body. It has the power to minimize the look of wrinkles because it tightens facial skin and slows down the effects of aging. 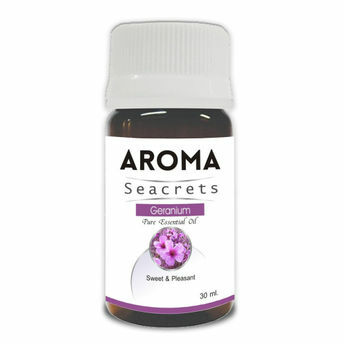 Aroma Seacrets Geranium oil is a floral essential oil that has a very pleasant and uplifting aroma. It's sweet, rose-like aroma is long-lasting and potent that keep you smelling fresh every day.